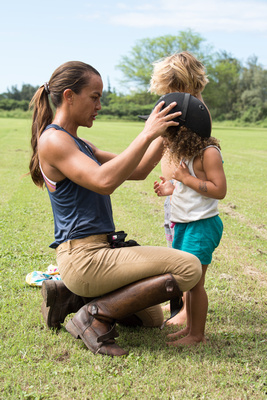 Experience the joy of connecting with the horses. Learn the basics of ground manner; anticipate the actions of your horse and how to react accordingly. 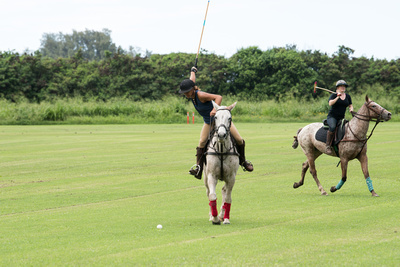 Polo style riding is quite unique, requiring lots of leg cues and very light rein directions as the polo horses are accustomed to being neck reined. Understand the “methods to my madness” as it is purely all about safety. 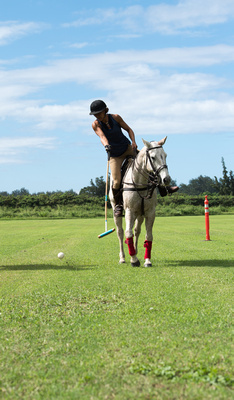 Familiarize yourself with polo tack as the gear is unlike any other discipline. 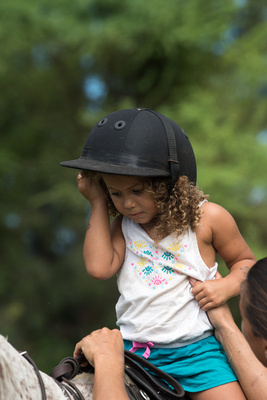 Learn the mechanics of the bit, bridle and saddle. 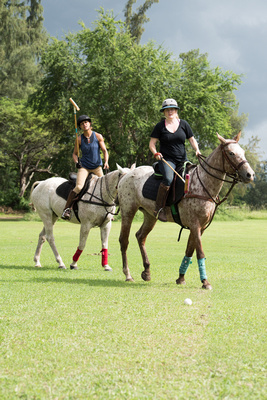 Observe the instructors swing, placement of the mallet and position in the saddle. 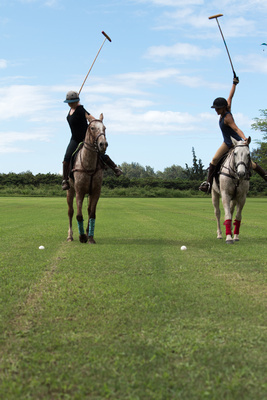 Work to graduate from a half to a full swing in hitting the ball from a walk, trot and then to a canter.